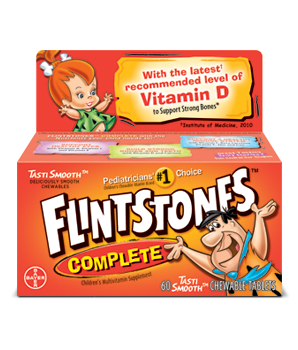 Some doctors even recommend Flintstones vitamins for gastric bypass patients because they think a chewable multi is easier for them to absorb. Red #40, Blue #2, Yellow #6. <any dyes have been banned because they are carcinogens, I’m sure these will be banned for the same reason one day). Artificial Trans Fats from soy or canola (Mono- and Diglycerides) can cause increased risk of type 2 diabetes, obesity, stroke and heart disease. 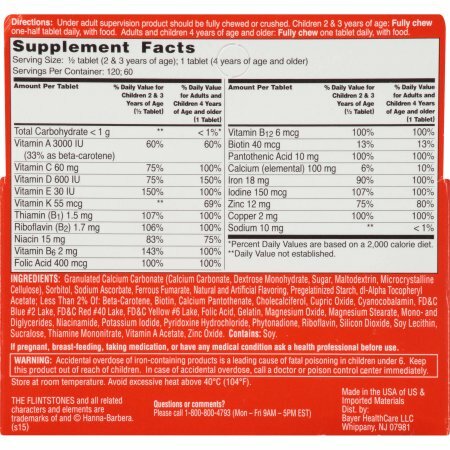 Bottom of the barrel low-quality synthetic vitamins are used in this toxic vitamin product. Here is a great chewable that I recommend.